There is a big difference between trading as a hobby, trading part-time and trading as a pro forex trader. If you want to trade for a living then you need to do certain things that will get you there. It is not easy and there is not that many of us that actually make it. Here are 10 things/steps that you will need when becoming a pro forex trader. You need to love what you do. This is the only way how you can fully dedicate yourself to it and how you can really achieve something significant. You need the passion that will drive you forward when you will be doing backtesting, optimizing or building your strategy. This is really hard work which you need to love otherwise, you just wouldn’t be able to do it. In trading, there is a ton of work that needs to be done before you even start making any money. I personally spent years studying, testing and learning. I was doing this 10-15 hour EVERY DAY. I was doing this for free because I loved trading and I wanted to trade for a living. I didn’t earn anything by trading in this period! Imagine doing something 10-15 hours a day for a few years for free! Crazy, right? There will also be periods when you will be giving it everything and still you will be flat or you will be losing money. 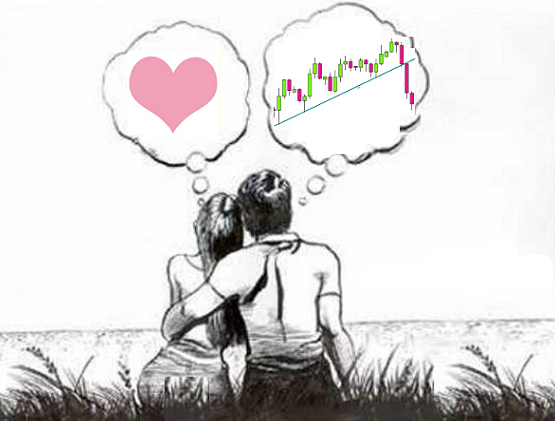 You really need to love trading to withstand such periods. Full-time trading is a job you can’t succeed in without a real passion. It is extremely stressful when life being of you and your family depends on your trading. I know cases of successful traders who quit their job entirely and begun solely depending on trading. Unfortunately, a pretty common thing was that they became so stressed that they started doing mistakes and they started losing money. They had their time-proven strategy which worked for them before, but they suddenly weren’t able to follow it 100 % because of all the stress. Sad stories, really. You can start thinking about quitting your job only after you are consistently profitable and comfortable with part-time swing trading. Even after that full-time forex trading will be a huge challenge. If you want trading to be your business then you need to treat it this way. No matter how big (or small) trading account you have. You need to be dead serious about trading. You need to have a routine and you need to work hard every day. Just like when you start any other business. Wake up in the morning, do your analysis, trade, backtest, educate yourself… That’s the kind of routine you need to do every day – even if you are not getting paid and your trading results are flat. Don’t worry, you will get paid for your work, only later and only if you work hard and stick to your routine long enough. Have you ever seen a person starting his own business without really caring too much, without morale and without true dedication? Well, I have seen such people. All of them failed. They lost their businesses and the money they put into it. On the other hand, when you speak to successful businessmen, you notice how much work, dedication and time they put into their businesses. Lot of them have been almost without any tangible profits in the beginning, yet they were working very hard, usually seven days a week. It is those guys who make it in the end. Not the guys who don’t take it seriously and who leave every job only half-done. So, if you want to become a pro trader, you need to take trading extremely seriously. Have a routine and work hard. Even if you start with a smaller account. Act like it was a big account. Only this way you will be ready when you fully fund your account and when you start trading some serious money. I said it many times that you can start even with a small ($500 – $1.000) trading account. However, if you want to trade for a living, you need to start trading with a bigger account than that. Don’t try to make a living with a $ 1.000 account. You would need to have astronomic returns with crazy risk per trade to achieve that. Also, you would need to do this repeatedly month after month. This is not how it works. In the end, you would most likely only lose your account over and over and you would feel very discouraged. I don’t know in which country you live in and what your life costs are, but if you want to make a living out of trading, then, in my opinion, your account needs to be at least $20.000. This is, in my opinion, the minimum. That’s a lot of money right? That is why I suggest you start with part-time trading first. It is better to be in a position where you have an income from your job but also a solid let’s say $10.000 – $20.000 account which you can slowly build up. When you build your account lets say up to $30.000 – $40.000 then you can start thinking about leaving your job. Those are, however, just very rough numbers. You need to make a much more precise calculation based on your living costs and on the profits you are realistically able to get from your trading. There is also another way to make a living out of trading even if you don’t have a big trading account on your own. You can manage other people’s accounts via various copy trading platforms. I must warn you about two things though. Firstly – it is forbidden by law in some countries, so before you do that make 100 % sure you can actually do it. Penalties against breaching such laws are usually astronomic. Secondly – it is extremely nerve-wracking to manage other people’s money. It is hard to describe if you don’t have any experience with it but it is much more difficult than managing only money that belongs to you. It is also extremely hard to stay disciplined when you manage other people’s money. Even the best strategies have losing periods, drawdowns and long periods where you basically end up flat. A strategy without it’s downsides doesn’t exist. That is a fact and you simply need to make your peace with. If you trade part-time then it is much easier because if you don’t get your money from the market then you get it from your job. Your family doesn’t get hungry because of it. Full-time traders are in a much more difficult position. They need to be aware of the upsides and downsides of their strategy and they always need to be prepared for a drawdown or for a long flat period. If you want to trade for a living, then you need to understand how probability in markets works. Imagine for example a swing trader with a trend-following strategy. Long-term trends occur around 20 % of the time. 80 % of the time the markets are more or less flat. This guy makes profits only 2-3 months every year. He is more or less flat the rest of the year. This would be unacceptable for most people but at the end of the year, this guy could be +50 % where the rest will most likely be in red numbers. Pro traders don’t start to freak out when they take 5 losers in a row because it is still a scenario that is “normal”. If you want to make living with trading you need to understand how probability works and always be ready for a drawdown or a flat month. This is closely remoted to the previous point I made. Pro traders need to be aware of the fact that they are making money only in some periods. My advice here is that you need to be careful about how much of your profits you withdraw and spend. Don’t spend all your profits because you will need them for the bad periods. Imagine for example the trend-following trader who makes money only 2-3 months every year and who is flat the rest of the year. Imagine him having a winning January and then spending all his profits. This way he would have no money until the second winning month occurred. This could be for example in half a year! I know, this is extreme but I hope it helped to make the point. Pro traders think in probabilities and averages. So if your strategy makes on average, for example, $24.000/year, then you can spend $ 2.000 every month. Don’t spend more even if you made $10.000 in the first month. Save it for a rainy day. You need to have a working strategy – an edge. I know, this is easier said than done. Still, it is a must. If you trade for a living then your life literally depends on your strategy. For this reason, a good strategy is a very important thing. Before you start to trade a big account, you need to know absolutely everything about your strategy. You need to have an extremely thorough backtest and precise and broad statistics – not just stats from backtests but from several months of live trading. You also need to know when your strategy performs well and when it has its bad moments – as every strategy has sometimes. You can use a strategy from somebody else – you can use for example the strategy that I teach in my trading course. However, I advise you to still make your own statistics, backtests and adjustments. From my own experience, the most successful traders from my course made their own adjustments to my strategy so it suited them better. They also have a good and thorough statistics to base their new ideas on. Having the best strategy in the world won’t save you if you aren’t disciplined. Unfortunately, the bigger your account and the bigger the volumes of your trades, the harder it is to stay disciplined. Traders who aren’t really ready to trade with big positions often tend to do the most common trading mistakes. Most commonly – holding to a losing position too long, hoping for a miracle. Or taking their profits too soon – before the price actually reaches their original Profit Target. If you want to be a pro trader – which means that you will have to trade big positions, then I have a little advice for you. It personally helped me quite a lot. If you have problems with discipline because of big trading positions, then disable displaying the nominal Profit and Loss in your trading platform (if your trading platform allows you to do it). This way you won’t see how much money you are operating with. You will only see the pip count. This way it is much less disturbing and nerve-wracking. It helps you to trade without thinking about the vast amounts of money you are trading with. Sometimes it almost feels like a demo. You will find it much easier to stick to your strategy and to be more disciplined with your trades. I know I said it many times and I probably sound like a broken record but I don’t mind. It is absolutely crucial that you have a solid broker. With a big trading account and heavy volumes that you trade, every pip is a lot of money. Every pip counts and you need to think twice if you rather feed your broker or your family. It is not only about low commissions and tight spreads. It is also very important that the broker is from a country with solid legislative, laws and that the broker is regulated by a renown regulator. The worst case that can happen is that you stick with a scam broker which doesn’t even allow you to withdraw your money – yes this can really happen! 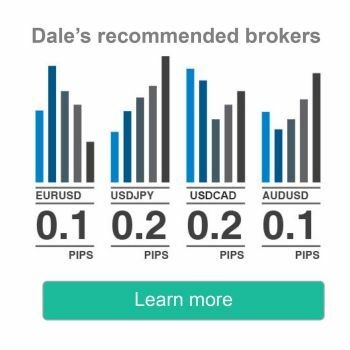 There are two brokerages I can recommend for professional traders, part-time traders and also for beginners. It is IC Markets and Global Prime. They have low commissions, tight spreads and they are both Australia based (Australia is a country with really good legislative). So that’s about it guys. I know becoming a pro trader takes a lot of time and a ton of work, but believe me that it is absolutely worth it! P.P.S. I have just released a new book: VOLUME PROFILE: The insider’s guide to trading. I put a ton of work into it and I am sure it will prove extremely helpful to you. Go and get your copy HERE. I guarantee you that this will be the best $4.99 you ever spent. I just wanted to say that I really enjoyed your article. As easy as it is to say you will do it and you are ready; when reality hits you that you are in a trade (as a new trader) and not prepared, the bleeding starts…..Just wanted to say this was a great read my friend. All the best for you in life. Thanks so much mate. I am glad you like it! Cheers! Sometimes it is hard, a huge number of hours in front of the monitor, notes, tests, and further attempts to put everything into a pile. Nobody will pat you on the shoulder and say it will be ok, you’re on the right track. Loneliness in this profession is also cruel. For this it is good to sometimes read something that is the proverbial slap on the back. Thanks for this article and best regards. You are right Pietrek. For this reason, it is always good to be in a community of traders. Thanks for your message!